Stars of the classic movie helped close out the Tribeca Film Festival. The Tribeca Film Festival ended on Saturday, with a special celebration honouring the 25th anniversary of classic movie, Goodfellas. Robert De Niro, Lorraine Bracco, Paul Sorvino and screenwriter Nicholas Pileggi came together in front of the New York crowd, sharing stories about their time on set as well as revealing a few surprising secrets. The Goodfellas cast reunited at Tribeca. The annual New York film festival is now in its 14th year. The line up for this year’s Tribeca Film Festival was announced on Tuesday, with a diverse range of titles from features to documentaries taking part in the annual competition. This year, the best narrative feature category sees 12 films battling it out for the prestigious prize, while 12 documentaries from around the word will compete to be named best documentary feature. Richard Gere and Dakota Fanning’s hotly tipped Franny will have its world premiere at the festival. Directed by Andrew Renzi the film follows Gere as a wealthy, ageing eccentric who finds a new lease on life by working his way into the life of his late friend’s daughter (Fanning) and her husband, played by Theo James. Keira Knightley talks to the press on the red carpet at the Tribeca Film Festival premiere of her new movie 'Begin Again'. Oscar winning veteran actress Sophia Loren is snapped at the Tribeca Film Festival premiere of the short film 'Soul Survivors' in New York. The Nas movie opened the Tribeca Film Festival on Wednesday. 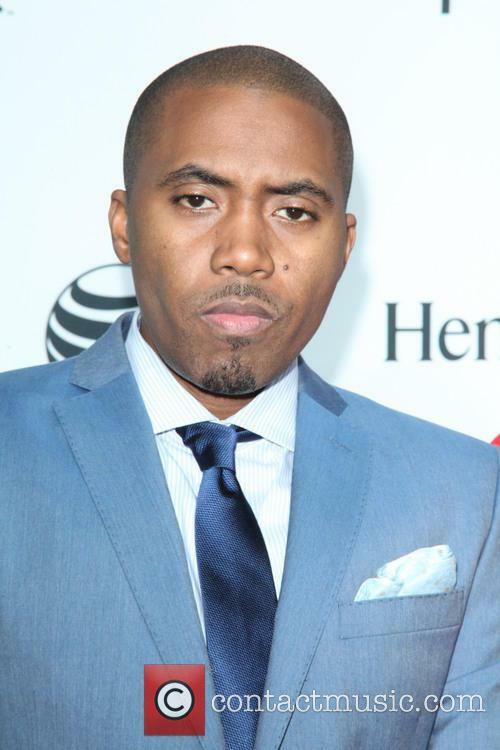 Rapper Nas paid tribute to Robert De Niro at the Tribeca Film Festival, where his documentary Time is Illmatic played as the opening night selection. According to Variety, the crowd at the Beacon Theater practically sang the entirety of the rapper's classic 1994 album Illmatic, with the movie telling the story of how the groundbreaking record put Nas on the map. The Wednesday evening screening was a double feature of sorts, with Nas playing a nine-song concert, featuring Alicia Keys on piano. Want some Tribeca Film Festival 2013 winners? Well we got some for you, with the festival looking to be another huge success with still one day left to go. In a week of successes there were few as triumphant as Kim Mordaunt’s The Rocket. Mordaunt’s feature is about a 10-year-old Laotian boy who seeks refuge from his difficult life by participating in a rocket-building contest, and it won two main awards at the event: first it took the festival’s Founders Award for best narrative feature, while its lead actor Sitthiphon Disamoe, who plays the film’s young boy, took the best actor award. Following the success of Quvenzhane Wallis could we have another young prodigy in our midst? Taking the best actress award last night (April 25, 2013) was Veerle Baetens, who starred in Felix van Groeningen’s Broken Circle Breakdown. That was another film that managed to walk off with two awards, having also taken the festival’s best screenplay award, for the script written by Mr. Van Groeningen and Carl Joos. Elsewhere, Emanuel Hoss-Desmarais, was named best new narrative director for the dark comedy Whitewash, while The Kill Team, Dan Krauss’ film about American soldiers accused of a war crime in Afghanistan, took best documentary feature. Sean Dunne won best new documentary director, for Oxyana, which tells the story of a West Virginia town blighted by OxyContin addiction. There still two days left of the festival. Check out the trailer for The Rocket below. Eva Longoria will judge the documentary and student short film competitions when the New York film festival, Tribeca, hits the U.K. Abigail Breslin, Danny Strong and celebrity chef Bobby Flay will co-judge. “We are delighted to welcome such an illustrious group of individuals to the Tribeca jury,” said Jane Rosenthal, who co-founded the Tribeca Film Festival. Robert DeNiro, added: “We look forward to their expert perspective on the films and talent in our program and the dialogue that emerges from the process.” De Niro had plenty to say, and, as one of the lead judges of the festival, we can only hope he’s this animated come the season. "American audiences have really enjoyed being able to participate in the festival experience, not just in New York but from all over the country. We are looking forward to bringing these films to homes across the UK." The Tribeca Film Festival opens on April 17 until the 28th of the month. Arthouse Intrigue And Hollywood Headliners: Tribeca Film Festival Announces Line-up.